The company Wargaming.net, that launched an MMO World of Tanks project two years ago, expands online world’s horizons thanks to their new project World of Warplanes! 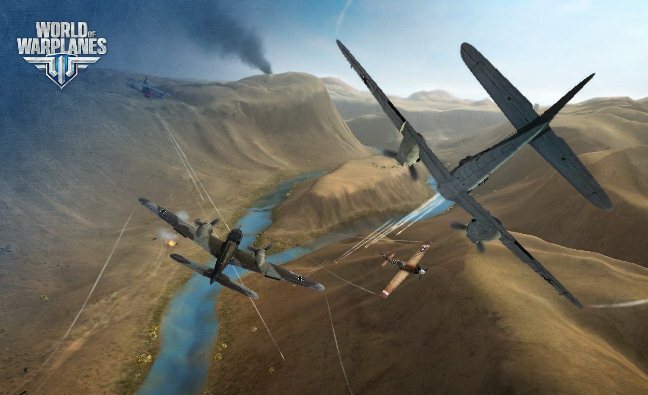 World of Warplanes - is a MMO aviation shooter, which will allow each player to become world’s aviation ACC. The project had being developed from June 2011 and has already reached the stage of alpha testing on May 30, 2012. Today, the company actively invites players from different countries to take part in the recently launched closed beta test. You can apply directly from the game's official website. If the developers are able to keep the pace then most likely the game will get its first official release in Q1 2013. Also, they promise to integrate World of Tanks and World of Warplanes in one common project with the working title - Clan wars. And meanwhile we would like to present the new World of Warplanes video, which demonstrates the different times and nations pilots’ techniques and skills.